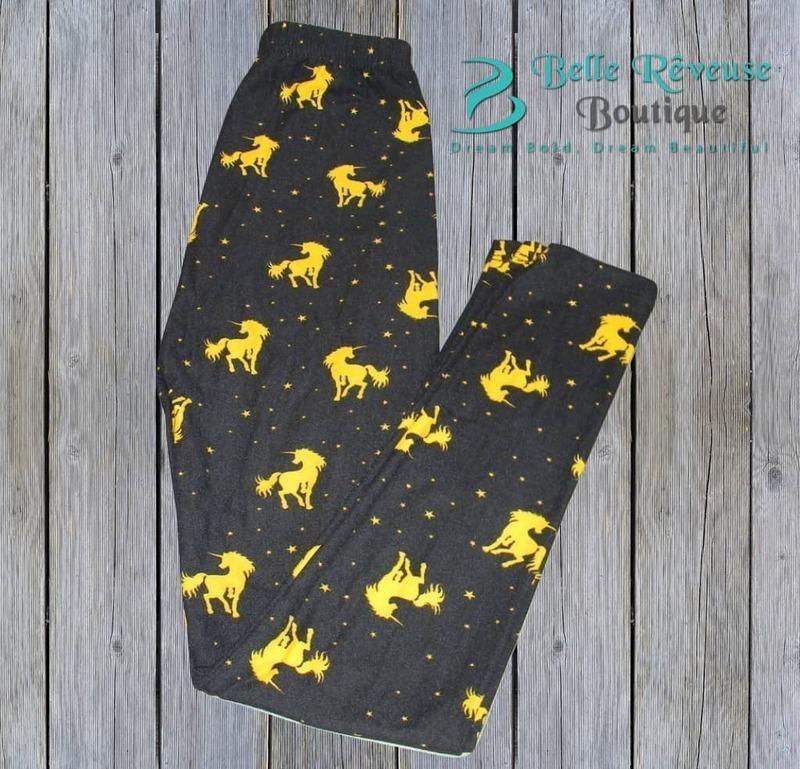 Super soft “peach skin” gold unicorn & star print full length leggings. 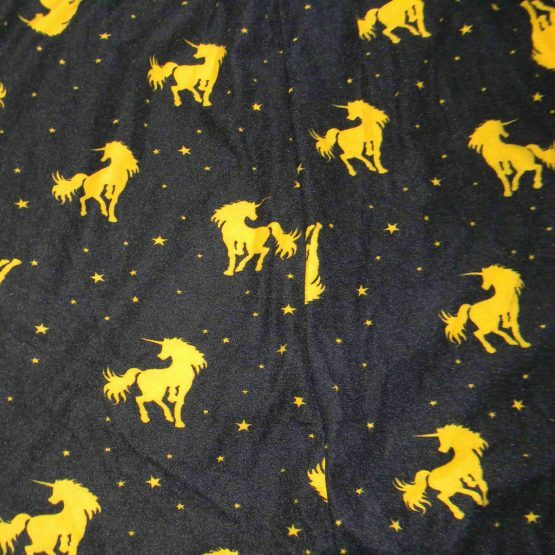 Our golden unicorn leggings are the perfect wardrobe addition to help meet your child’s unicorn obsession. 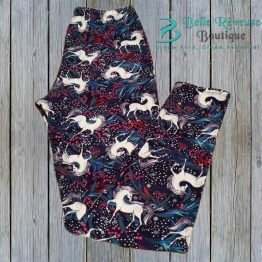 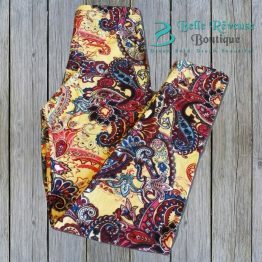 Featuring a gold unicorn & star print on black leggings. 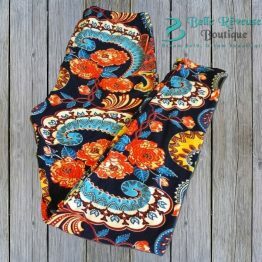 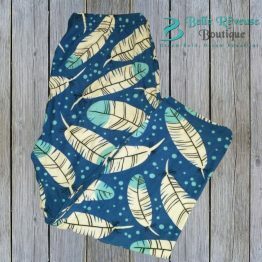 Made with a super soft “peach skin” 92% polyester and 8% spandex mix material.